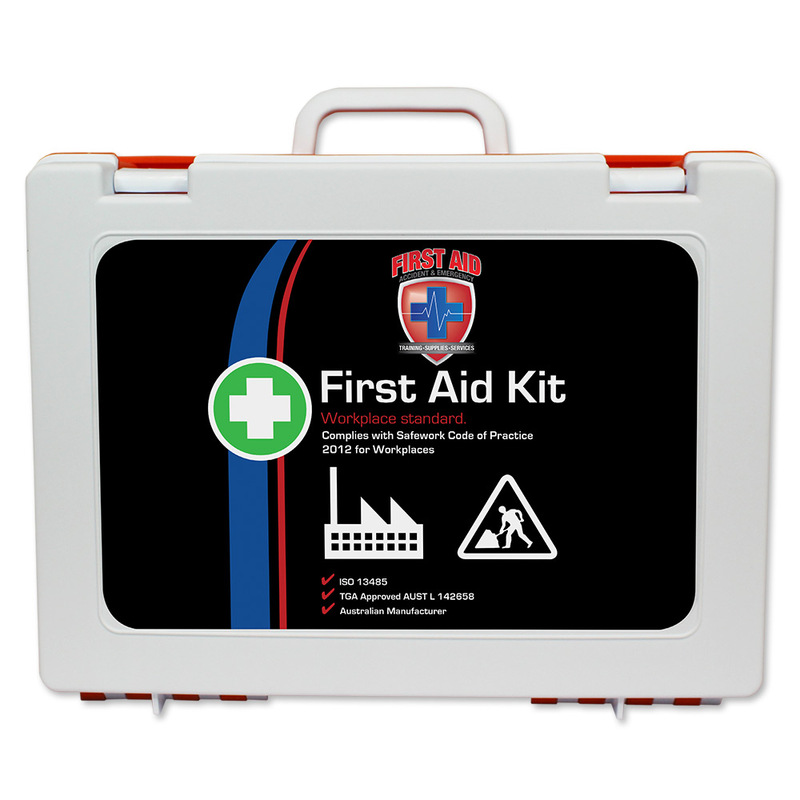 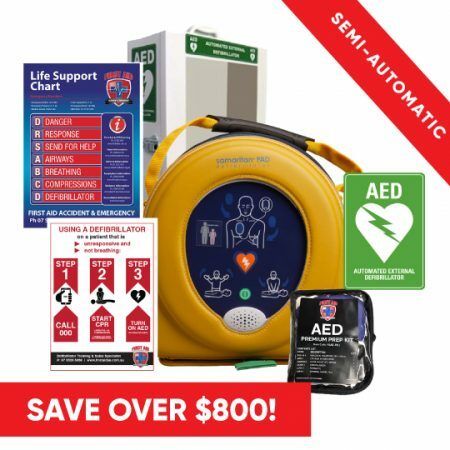 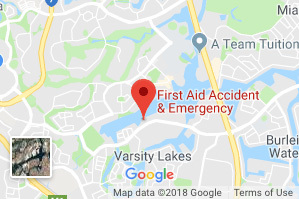 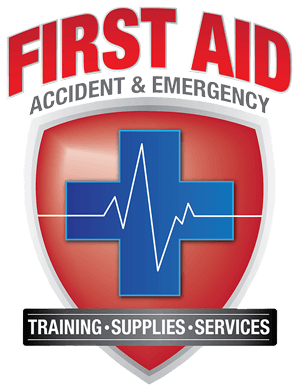 Level 4 first aid kit, this durable and wall mountable First Aid kit is best suited for 1-25 people in low risk workplace environments or 1-10 people in high risk workplace environments. 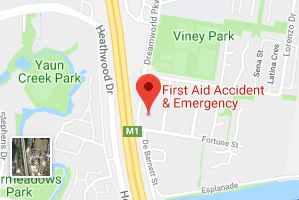 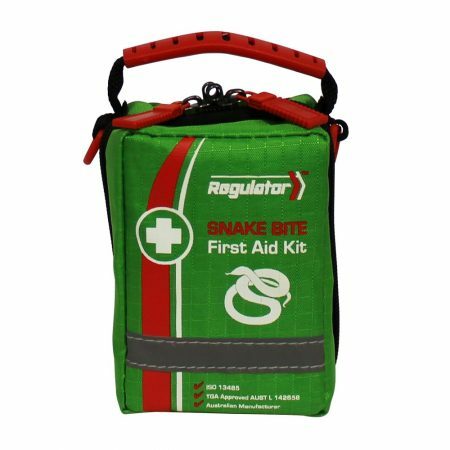 Level 4 Rugged First Aid Kit ensures basic and easy workplace compliance for First Aid as it contains a comprehensive range of quality supplies to cater for any workplace emergency. 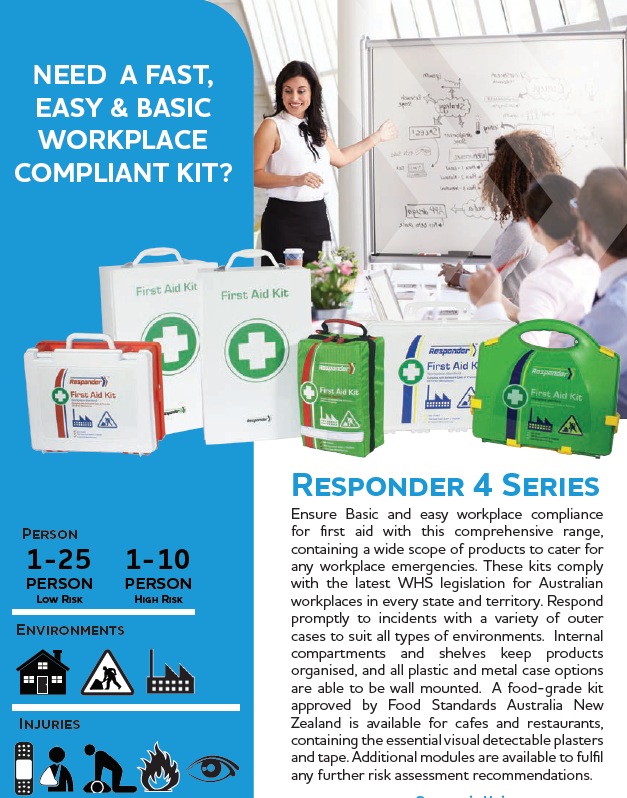 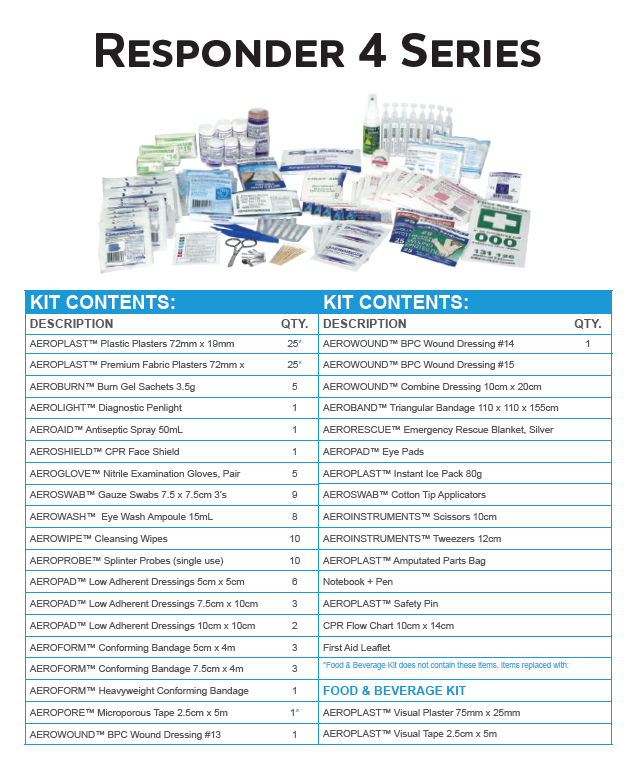 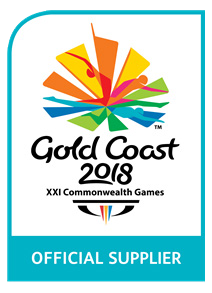 This kit complies with the latest WHS legislation for Australian workplaces in every territory and state. 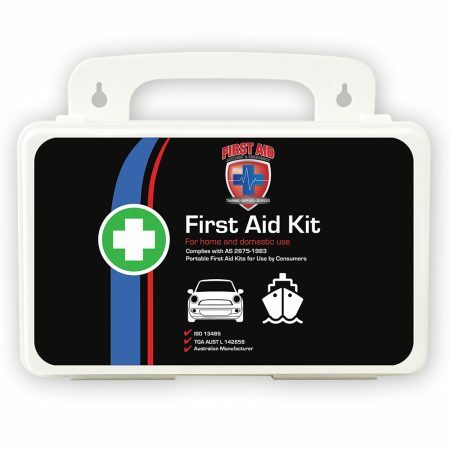 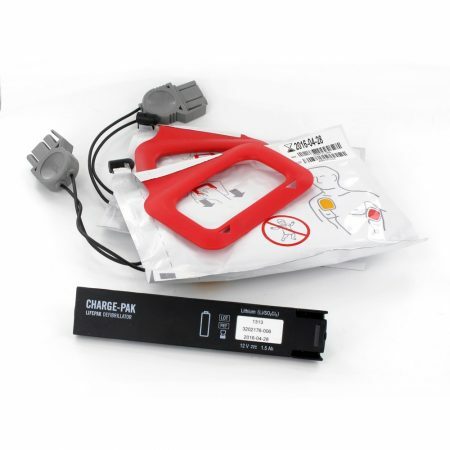 This kit’s case is equipped with inner compartments to keep contents organised and protected even while travelling and is strong enough for wall mounting. Best suited for 1-25 people in low risk workplace environments or 1-10 people in high risk workplace environments.